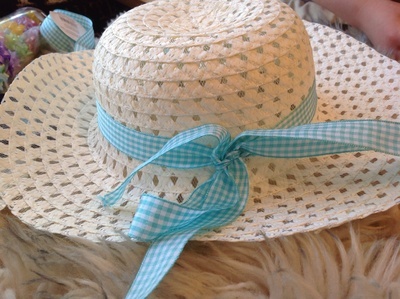 Easter bonnets are a traditional Easter activity based on an old custom of wearing new clothes at Easter time. 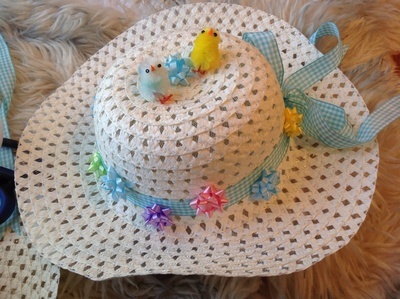 Nowadays you can buy plain Easter bonnets and turn it into a fun and creative craft activity. Buy a few bonnets and some pretty decorations (I got my decorations from Danish newcomer to the British high street: Tiger, and my bonnets from old favourite Waitrose). 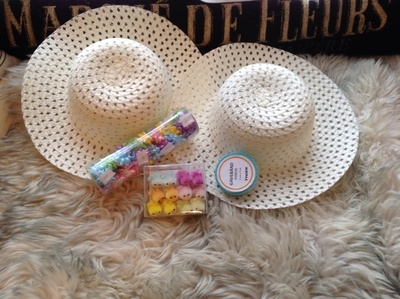 Get all your crafty materials together and start to plan the colour and shapes you want on your bonnet. 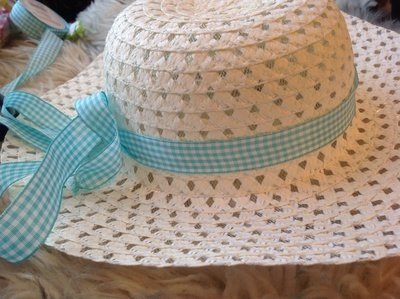 If you are using a ribbon, like our gingham one, affix it round the crown of the bonnet first. This will become the basis for your other decorations. We used a pretty turquoise colour, but you could use any colour: pale pastels are traditional Easter colours, mirroring the colours of the bursting blooms of Spring. 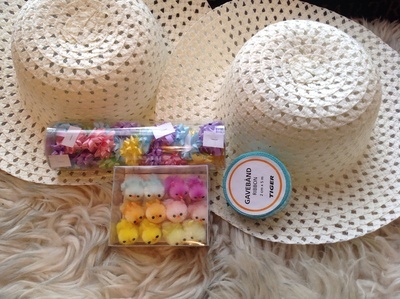 Add the other decorations: mini-ribbons, chickens, buttons, and anything else you like.